YANMAR only recently arrived in the Pacific Northwest with its mechanical 6AYAM-ET diesel engine. It looks like they are here to stay. In November of last year, YANMAR America and its guests officially opened the YANMAR EVO//CENTER in Acworth, Ga. Situated on 50-plus acres of land in Cherokee County, the new 50,000 square foot facility features six state-of-the-art product training labs with classroom and hands-on space, three classrooms, multiple meeting rooms, office space, a 250-seat auditorium, and myriad other amenities and features. The event was probably the most recent, visible manifestation of YANMAR’s steady march into the North American markets. 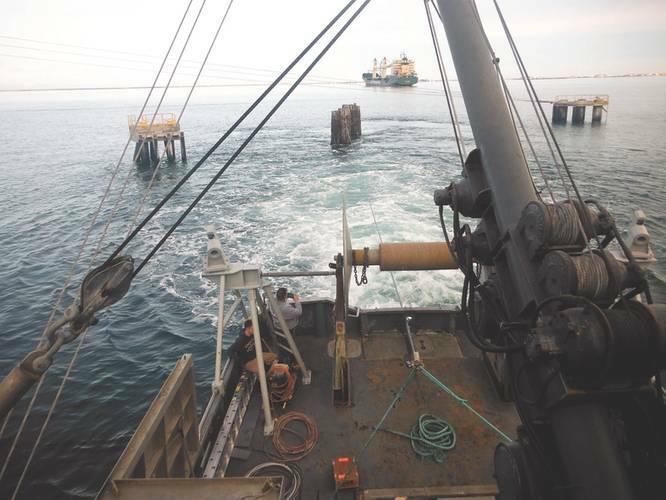 Equally important and occurring thousands of miles to the northwest at about the same time, YANMAR was beginning the installation of its first 6AYAM-ET mechanical engine in the Alaskan fishing markets. A retrofit contract, the advent of YANMAR in Alaska was as much a milestone as was the opening of the EVO//Center. That’s because both events signaled in no uncertain terms YANMAR’s commitment to North America and its crowded workboat engine OEM market. YANMAR’s market penetration around the globe is well known. The firm supplies engines to a host of land-based equipment manufacturers and the firm is equally well-known for its reliable sailboat engines. But YANMAR’s commercial group split off from the recreational side more than three years ago. 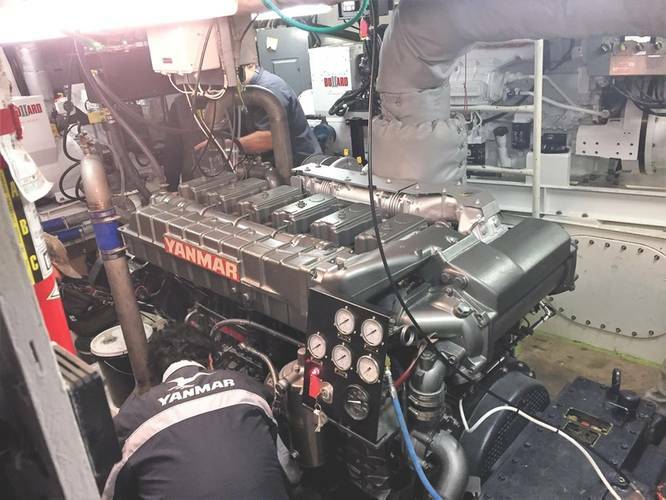 In fact, as much as 90 percent of YANMAR’s business with this engine represents repower jobs due to its smaller footprint, which makes it easy to ‘pop in.’ And, when the owners of the Alaska-based fishing vessel Cape Reliant knew that they needed a new engine for their vessel, they liked what they saw when it came to YANMAR’s 6AYAM-ET. Yes, says Wallace, YANMAR’s entry into this sector is a simpler engine and costs less to maintain. But, the real selling point may well be that these engines are made for the marine sector only. “It’s not a truck engine. These are purpose-built marine engines. They don’t have to be sent somewhere to be marinized,” adds Wallace. That purpose-built policy includes everything from conception, casting and production. Moreover, the YANMAR 6AYAM-ET engines are not assembly line built. As ‘cell’ production units, one technician can and does build a single engine. Ultimately, the customer knows that this isn’t just another assembly line standard block and they can see who built it. And, that builds in trust. That could translate into a 5-month lead time on an engine order, but YANMAR has base engines ready to go at all times to counteract the possibility of a backlog. Beyond this, and if a vessel did experience a cylinder problem, you can work on one head without breaching any of the others. The engineer could simply close one cylinder and blocks off the fuel injector – and because YANMAR employs all individual heads – get home on five cylinders. “We’re able to do a really good job with our mechanical engines because we have a more geometrically positioned fuel injector with multiple ports, so you get a finer atomization of the diesel so the fuel is being burned more efficiently,” said Wallace, adding quickly, “And, on a YANMAR engine, if there is an injector problem, the vessel’s engineer can unscrew the tip, clean it out and put it back together. Separately, the purpose-built engine boasts a huge oil pan – good for 500 hours of service – or more than twice the standard maintenance interval. Adding to that kind of reliability, YANMAR owns its own gear company, Kanzaki, and is one of the few engine OEM’s that can offer both the gears and the engines. Wallace points out, “Those gears are built specifically for those engines. For owners, they can get the same guarantee on the gears as the engine – and he’s talking to just one person or OEM.” For marine operators or boatbuilders, they can choose any gear they want to interface with the YANMAR engine, but it’s nice to know that a turnkey solution can be had, if desired. The many features and advantages of the YANMAR marine engine could well be enough to sway even the most particular buyer, but not in the case of the Cape Reliant’s owners. Because YANMAR, in this market at least, is a relatively new entry, this time, that simply wasn’t enough. Cape Reliant’s principals wanted assurances that parts and service, in the unlikely event that emergency work had to be done, could be had in a prompt fashion. And, YANMAR answered the call. The three-owner consortium had actively considered at least three other engine brands but eventually settled on the YANMAR. They weren’t disappointed when they did. Together with YANMAR’s newest addition to their distributor arsenal, Northern Lights, they jointly handled local interface during the installation and commissioning. The repower event went smoothly. The last part is especially important. 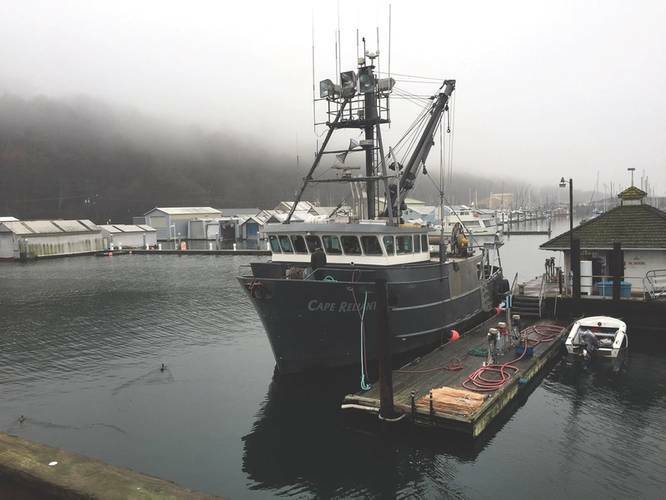 That’s because the Cape Reliant, at least in Alaskan waters, competes against an influx of now larger boats being allowed into the region to fish. But, Cook’s boat, which also fishes in another area during different seasons, is limited to being 58 feet in length. Today, the extra bollard pull from the YANMAR repower is everything. 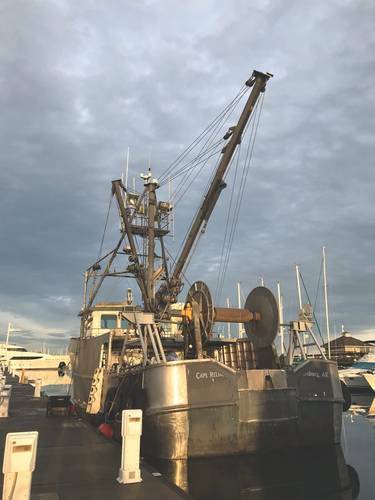 With the Cape Reliant’s repower commissioning only taking place in mid-January at the Platypus Marine yard in Port Angeles, Washington, YANMAR has already sold a second engine to another Alaskan fishing boat – a friend of this owner – also through Northern Lights. Wallace added that his firm had two more purchase orders, potentially for March. The second boat – the Enterprise – is scheduled to be repowered in Alaska in March, in much the same way that Cape Reliant had its upgrade. At a time when the need to go ‘green’ is spurred primarily by regulatory mandates and the push to achieve greater fuel economy is often driven by the ‘bottom line,’ YANMAR has already lived by those tenets for more than a century. It was YANMAR founder Magokichi Yamaoka who said in 1937, “To conserve fuel is to serve mankind.” That kind of philosophy was rooted in the island mentality of a place where most natural resources – fuel to be specific – had to be imported. Established in 1912, the firm in 1933 became the world’s first manufacturer to develop a practical and economical small diesel engine. For YANMAR, then, the desire to build an efficient and clean burning engine is also cultural. Terry Wallace, perhaps, sums it up best when he says, “Much of their consumables – food, oil, steel, raw materials – comes from somewhere else. So, when they create something, it has to last a long time, and it has to be efficient.” That sounds a lot like the Alaska frontier. If so, then YANMAR will probably fit right in. In fact, they are already there.